Nikon SLR cameras to welcome 2014. Home / Camera Buying Guide / Nikon SLR cameras to welcome 2014. The end of this year will see the release of three high-end SLR cameras from Nikon: the D7100, D610 and the new Nikon Df. 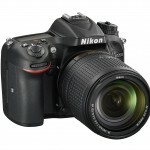 Nikon, a world leader when it comes to cameras, has released three SLR cameras that will say Hi to 2014. These are the Nikon D7100, Nikon D610 and the new Nikon Df, which offer an excellent image quality. No matter if you’re capturing the New Year’s Eve party of the first moments of 2014, these new professional cameras from Nikon are the best choice when it comes to taking your pictures with the highest image quality as possible. The Nikon D7100 sports the latest HD-SLR technology, offering an incredible image quality and performance. Your pictures will be vivid and clear thanks to its auto-focus system. The Nikon D7100 is also capable of recording slow-motion or frame-by-frame video with the highest quality, and thanks to its dual SD slot, you will never run out of space to store your recordings. Thanks to its small and lightweight body, the DSLR Nikon D610 is easy to carry around, perfect to take pictures of every party and reunion with your friends and family. Wherever you go, this camera will be with you. Also, with its new continuous silent mode, you can take many consecutive pictures at once without having to worry about noise, perfect when you have –or want- to go unnoticed. With its 24.3-megapixel sensor, integrated flash and full-frame sensor, taking excellent pictures has never been easier. The Nikon Df is perfect for those who want the best from the past, present and future. By combining a retro design, reminiscent to the F, F3 and FM/FE, with the latest technology, every photography enthusiast will surely fall in love with this excellent camera. The Nikon Df features mechanical dials for the shutter speed, ISO sensitivity and exposition, so you’re always in control of even the slightest detail. Like we said, it’s been designed with the best from the past and the present, since it’s compatible even with 30-year-old lenses and features Wi-Fi connectivity through the WU-1a adapter. Next Sony NEX-3N vs NEX-5R Specs comparison, Which One is Worth To Buy? Nikon D5300 V D7100 comparison – What’s the difference? 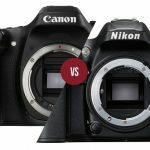 Nikon D5300 vs D5500 vs D7200 comparison, Which one is worth buying?